Take your Super Smash Bros. Ultimate sessions up a notch with this Special Edition Super Smash Bros. 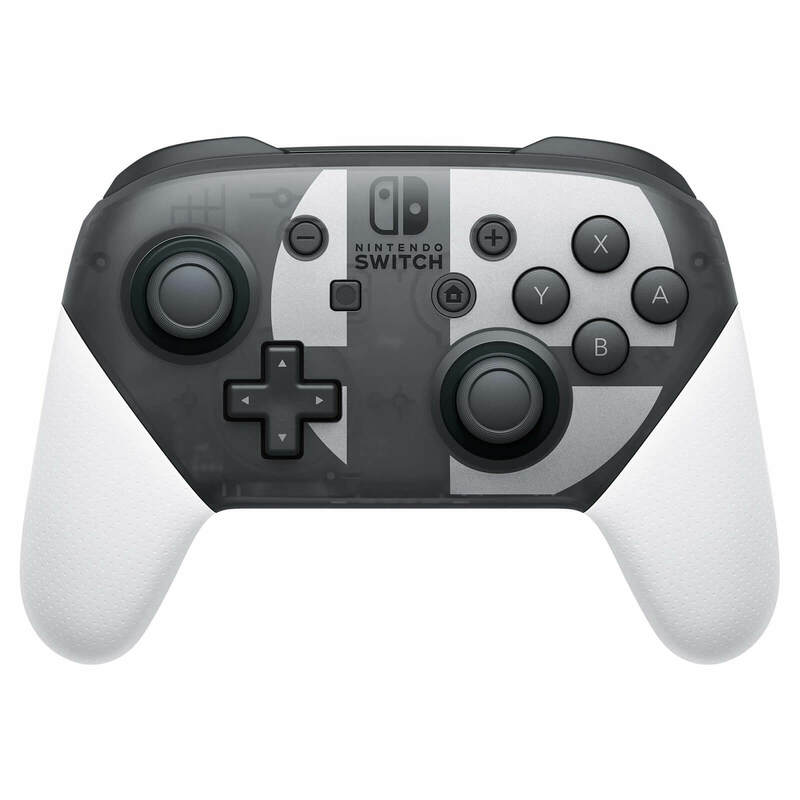 Ultimate Nintendo Switch Pro Controller. 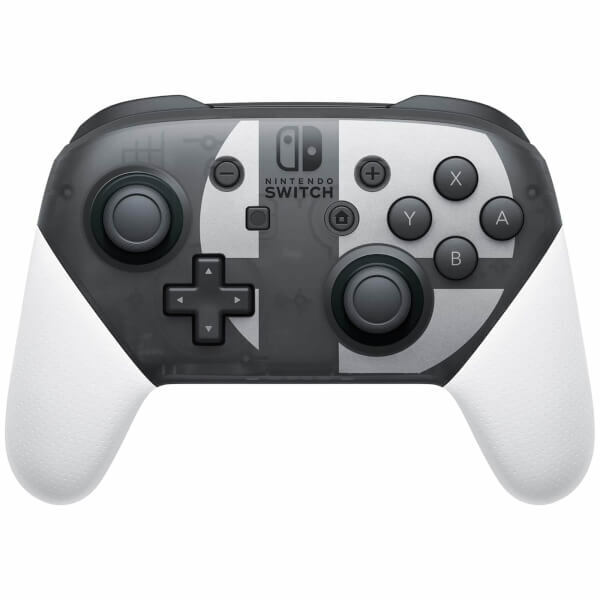 This controller includes many of the great features found in the Joy-Con Controllers: motion controls, HD rumble, built-in amiibo functionality and more. 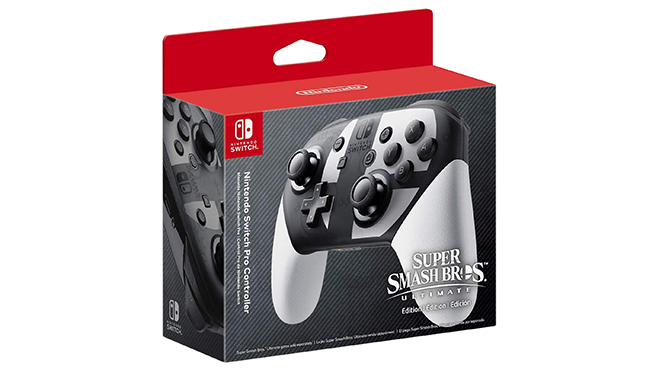 This Special Edition Super Smash Bros. Nintendo Switch Pro Controller features the Super Smash Bros. logo for the main façade. 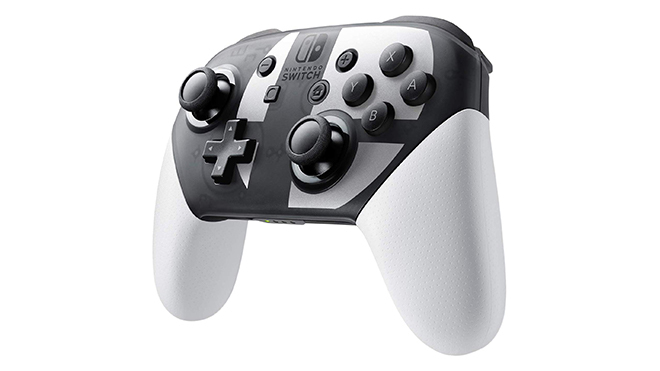 The Nintendo Switch Pro-Controller is a premium product boasting premium grips and a semi-transparent casing. It has the same buttons as the Nintendo Switch in handheld mode, and is designed to be held and operated more easily than the Joy-Con Controllers! The primary difference in the controls is that while the directional controls on the Joy-Con (L) are made up of different buttons, the Pro Controller has a single + Control Pad, similar to previous systems. 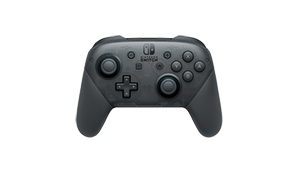 The Nintendo Switch Pro Controller contains 2 linear resonant actuators, each with independent HD Rumble capabilities, creating a similar effect as with the Joy-Con Controllers. The HD rumble function included in the Nintendo Switch Pro Controller creates an immersive gameplay experience that isn’t possible with images and sounds alone. 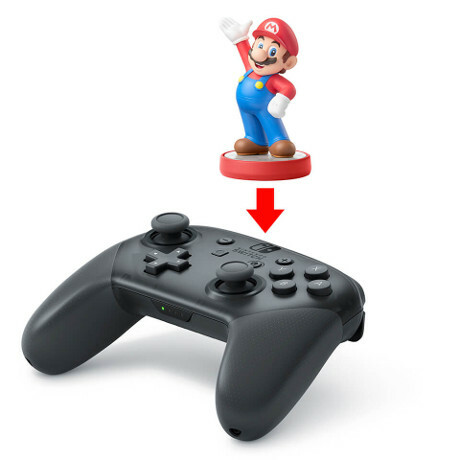 You can also use amiibo on your Nintendo Switch by tapping them to the NFC touchpoint on the Nintendo Switch Pro Controller! This accessory comes with a USB Type-C connector and a USB Type-C cable that allows you to charge it. 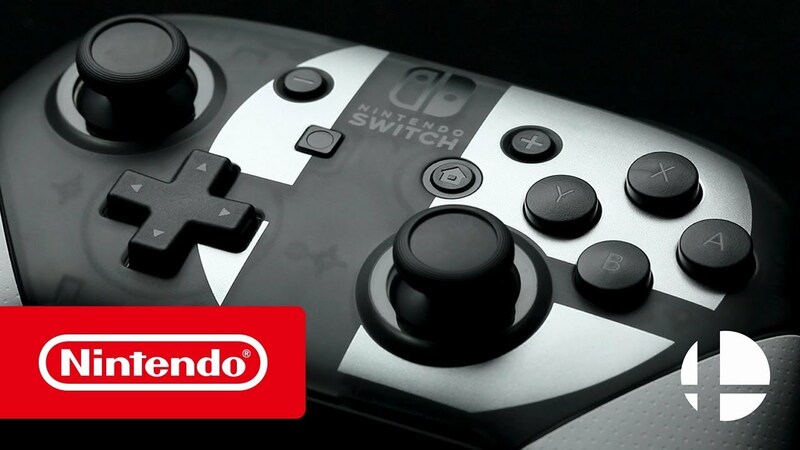 The Nintendo Switch Pro Controller battery life is approximately 40 hours. Please note: this is the estimated battery life. This may vary depending on the usage conditions. 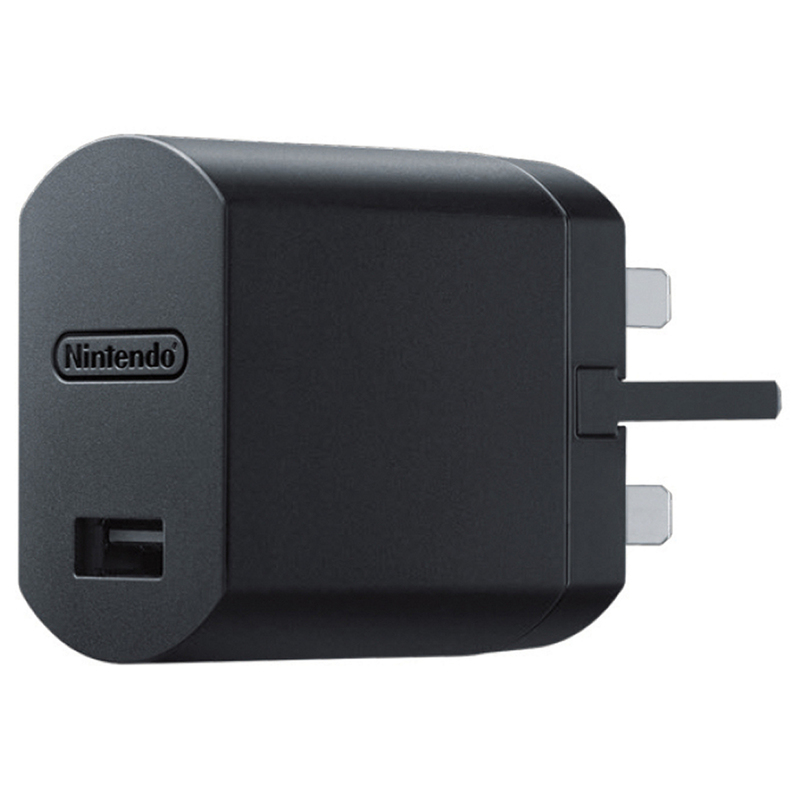 The official Nintendo USB Power Adapter (sold separately) allows you to charge your Nintendo Switch Pro Controller with any three-pin socket (connecting to the USB cable included with the product). Smash in style with the Nintendo Switch Pro Controller Super Smash Bros. Ultimate edition, launching alongside the game on 07/12! Well built and feels great - a real must have! 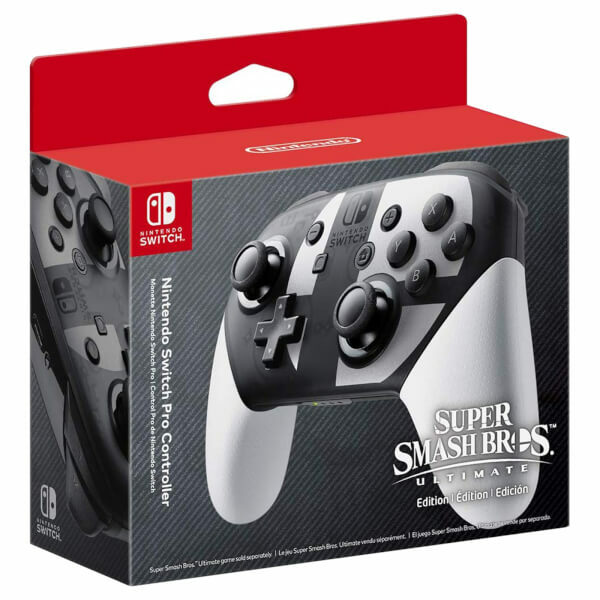 Good controller too expensive. 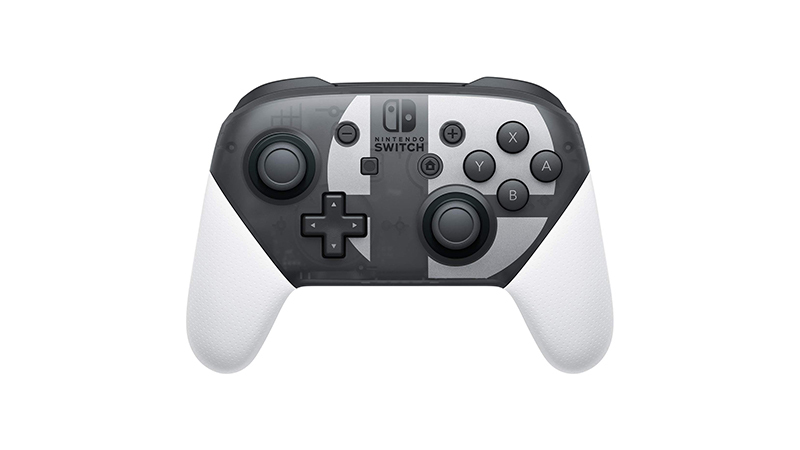 needed to buy as joycons only lasted one year. i hope this lasts longer for the price. Had two units which developed the same fault with the left joystick. The housing snapped within 5mins of usage. Had a similar fault occur within 3 weeks on a replacement mode. The controller itself is very good. 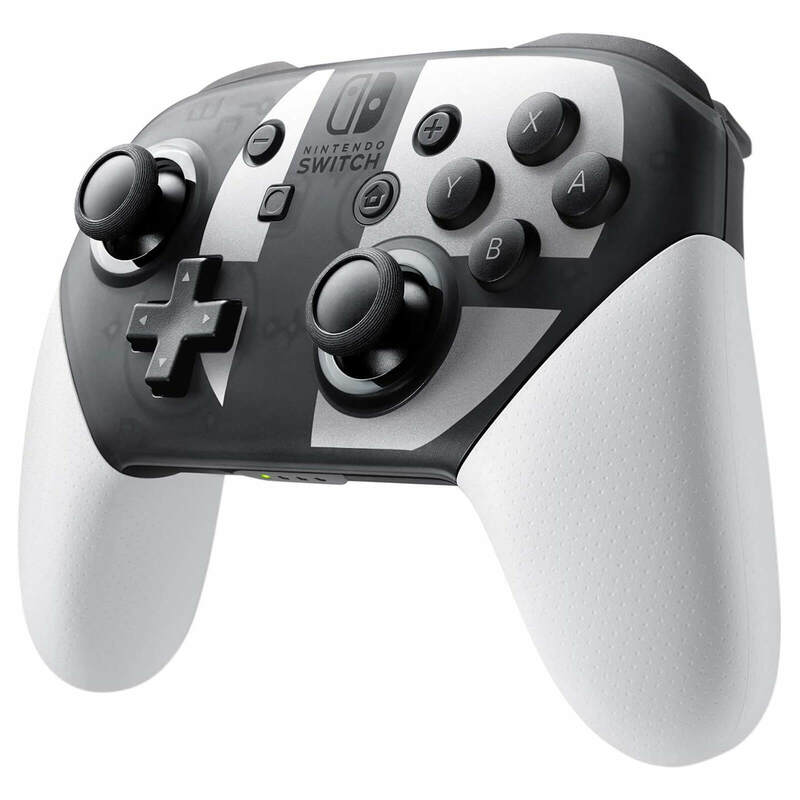 Much more precise and more comfortable to feel than the joycons together. However, it is very expensive so if you don't have the money to spare, you can survive on just the joycons.